Butler Coring offers our customers the most complete menu of services in the sawing and drilling industry. The company has fully equipped core drilling and sawing trucks for coring holes and sawing in concrete floors and walls for new utility penetrations and structural modifications. Our operators have resumes with extensive histories of successful, safe and experienced work performances. They are well trained, safety conscious, union workers. Butler Coring, Inc.’s goal is to provide our customers with the highest quality of concrete drilling & sawing services at competitive prices. To that end, we are committed to being the preferred concrete drilling & sawing contractor in the Midwest by keeping high quality customer service as our primary goal. Butler Coring's staff and work force has over (350) years of combined experience in the industry. 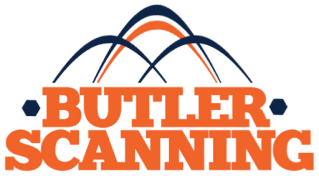 Butler Coring strives to provide the most experienced, efficient and reliable drilling, sawing and scanning services to our customers. Butler Coring utilizes only the most efficient and advanced tools and equipment to accomplish our goals.